When I picked up Bitters, a book celebrating the history and culture of using bitters in cocktails, I was immediately hooked on the subject. I am always drawn to books that not only tackle a single subject, but do it so well. The book sparked additional interest when I made the Pith Helmet from the book, an enticing mixture of gin, cucumbers, Pimm’s, lemon, basil, black pepper, and a few dashes of bitters. I wasn’t all that familiar with bitters (the renewed interest in cocktails was just taking off in Paris), but loved what a dash of this, and a few drops of that, could add to a drink. I eventually connected with Brad Thomas Parsons, the author of the book, and have been fortunate to pull up a stool at several cocktail bars with him. (A friend called him “The Holy Grail of Drinking Buddies.”) If you can’t be at the next bar stool from him, Amaro (and Bitters) are the next best thing. 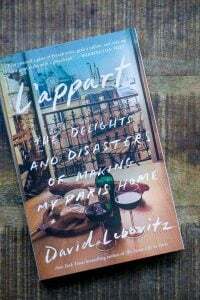 In fact, they may be even better because the photos of his voyage to Italy by Ed Anderson (who shot the photos in My Paris Kitchen, who is also no slouch in the drinking-buddy department…) capture the beauty and spirit of the amaro culture in various places around the world. And you don’t even have to worry about taking a tumble off a bar stool to enjoy them. Amaro is an Italian liqueur that defies an exact description. They could best be described as herbal digestives, each flavored with a unique mixture of spices, citrus, barks, flowers, roots, and fruits. (And sometimes vegetables, such as rhubarb and artichokes.) 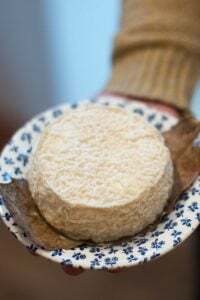 Amari are not subtle and if you’ve even had a sip of one after a rich meal, it provides a jolt powerful enough to calm your stomach – and spirits, not matter what came before it. As Brad notes in his book, humans have a natural aversion to bitter, a flavor that’s naturally associated with something dangerous. But many things that are bitter, such as broccoli and other greens, are actually good for you. 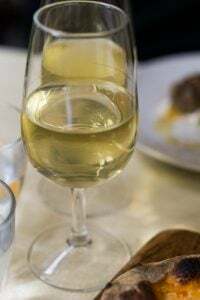 I’ll let you be the judge on any health-giving properties of any kind of libation, but I know several people with young children who say that without wine, they could not function. I sometimes feel that way about a cocktail, especially a well-made one, which seems to have a restorative effect on me. Making a good cocktail isn’t hard, but it does require a few things. A good recipe is one, and more than half of Amaro: The Spirited World of Bittersweet, Herbal Liqueurs is devoted to recipes for amaro-infused cocktails, many from some of the best bartenders around the world. Recently, I was reprimanded online on the suspicion that I was using a standard maraschino cherry in a photo of a Manhattan that I posted. 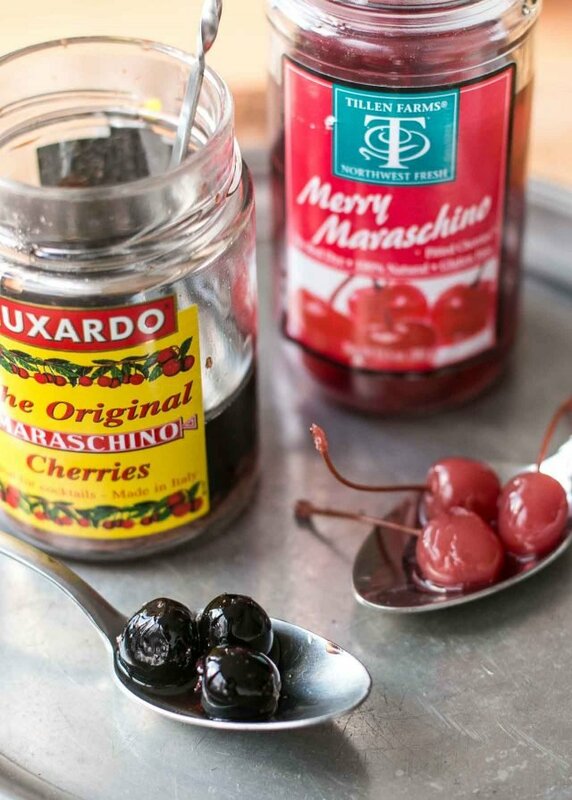 Someone gifted me a jar of lovely Luxardo cherries, that are $25/jar, which are indeed, excellent. But I also sometimes like the crunchy chewiness of regular maraschino cherries, with the stems on, which also offer up a jolt of nostalgia. Ditto with bourbon. There are lots of bourbons out there and if you ask, you will likely be told there is one better out there than the one you are using. I tried a brand I’d heard a lot about, that set me back $43 for the bottle. It was fine, but I didn’t prefer it to the bottle of Old Forester that my friend Elizabeth Karmel, someone knows her bourbon, gave me, that cost about half that. The bottom line? Do whatever you want. Yes, the flavor and quality of the cocktail will be determined by the liquor (and cherry) that you use in it. But then again, if people don’t like what you’re pouring, as my grandmother used to say, “The door swings both ways.” Which is one of the many reasons why I miss her. I was thrilled when I found a recipe for a Black Manhattan in Amaro. Intrigued by the name, I ordered one at a bar in New York and learned in the book that the drink was actually invented in San Francisco, swapping amaro for the vermouth (and a few extra dashes of bitters, because those are Brad’s beat, too), giving the classic cocktail an agreeably robust twist. 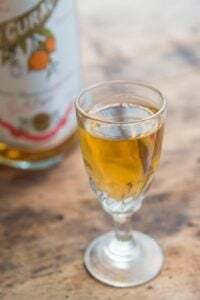 Adapted from Amaro by Brad Thomas ParsonsBrad Thomas Parsons calls for using Averna amaro, but noted that another amaro could easily be used. I had a bottle of Cynar from a batch of Chin Up cocktails, and reached for that. His recipe also called for Angostura bitters, which I didn't have, so used a few drops of orange bitters. 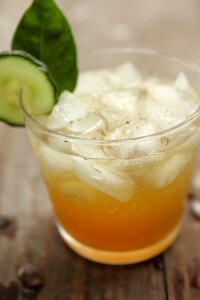 If you have Angostura bitters on hand, use a dash of those, and a dash of orange. 1. Put the bourbon, amaro, and bitters in a cocktail mixing glass or small pitcher. Add ice and stir briskly until well-chilled, at least 20 seconds. 2. 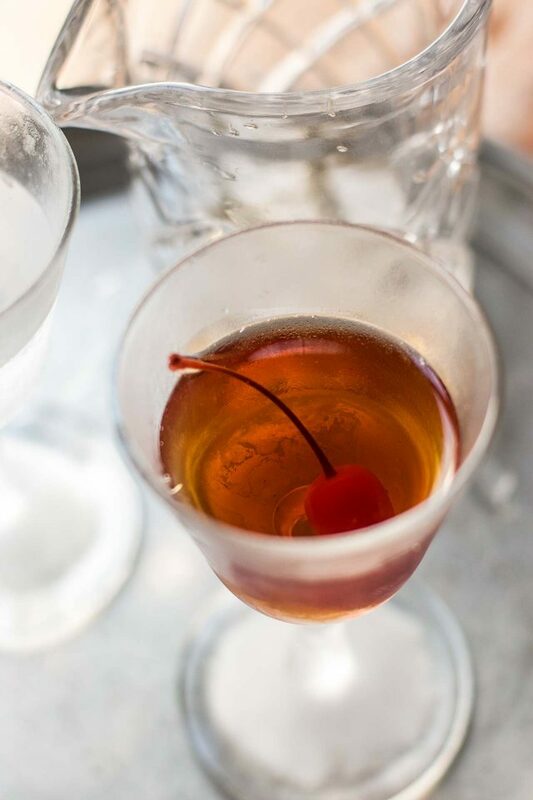 Strain into a chilled cocktail glass and add a maraschino cherry. Ah, David, you gotta make your own maraschino cherries. Just get some Luxardo Maraschino liqueur. 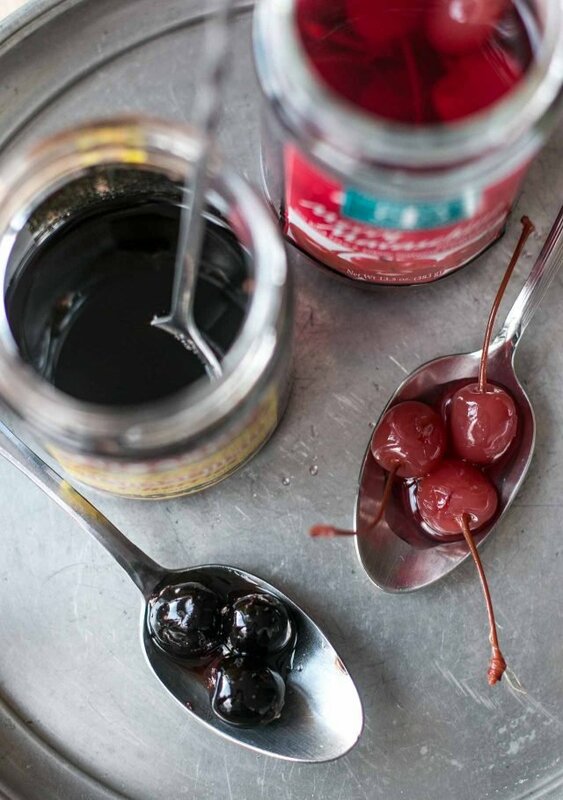 Bring it to a simmer, turn off heat, pour over your choice cherries in a jar, and let ’em sit and get happy. You can leave stems on with pits, or not. Tops anything you’ll buy. Hello David! I thoroughly enjoyed this post – have the Bitters book which was fantastic and have added Amaro to my list! I agree with you on the quality of the liquor. I don’t think one needs top of the line bourbon for a manhattan or any cocktail – the subtle nuances of a truly fine spirit are typically lost in a cocktail so I save those for sipping! Don’t know if it’s spread to the continent yet but here in LA/OC the newest hipster drink is cheap bear with a shot of … Amaro! I’ve been told it’s quite good but I haven’t been able to bring myself to order one yet – maybe a New Year’s resolution!!! I recently wandered into a very beautiful, old liqueur shop in my town and learned all kinds of interesting things about spirits (the shop still distills its own, with quite a variety). For example, they mostly started out as medicines or magical potions for youth. If only! Monks seem to have livened up the middle ages by inventing liqueurs and distillation methods…. Thank you for sharing information. I will make the effort to try this over the holidaze. That means, mixing samples before the parties! The things we do for friends! Peter – yes! I haven’t tried heating the Maraschino but room temp works fine. They get somewhat candied over time. Right, Karen. And when the first round of cherries are gone, just add more to the nicely seasoned jar with the remaining liquor. …the door swings both ways… Will remember that one! My mother in law was a firm believer of the medicinal capabilities of Fernet Branca. When’re we ate or drank too much, a shot of Fernet would do the trick. Nowadays it’s my after dinner drink of choice, straight, no ice. Most people hate but I’ve gotten fond of it. · Make up a liqueur mix of 1 part chambord, 1 part amaro montenegro and 2 parts frangelico. Add 4 parts rum. Keep in refrigerator or freezer. 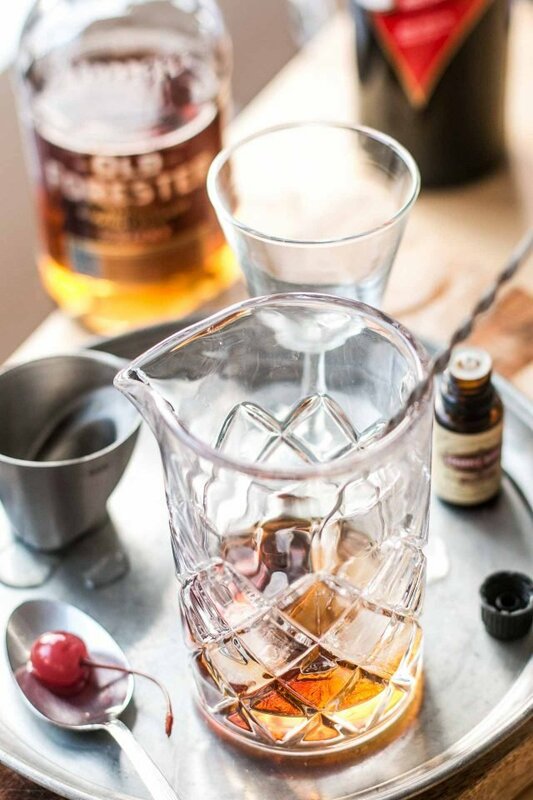 · To make egg nog to serve, mix 5 parts egg nog from bottle with 2 parts rum/liqueur mixture. Stir in glass. This will make an 8% alcohol concoction. · Adjust proportions, to taste. Voila! It’s a good thing this combo is only a seasonal mix! Amaro? There are so many kinds of Amari, which one did you use for your Black Manhattan? If I missed it, my apologies. All Things Considered just did a piece a few days ago featuring Mr. Parsons, worth a listen. A lovely and informative post as usual, I’ll take hearing about amaro twice in one week as a sign from the universe to expand my cocktail selection this holiday season. 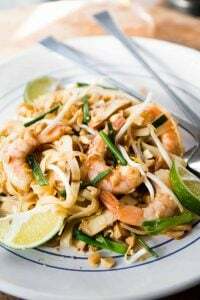 Thank you for getting me started with this recipe! David: I continue to enjoy your newsletters — keep up the good work! 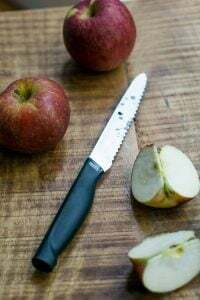 As a food writer, editor and former restaurant critic for the third largest newspaper in N. America, I have spent 40 years tracking down the best of everything edible and drinkable. Manhattans are no exception. You and readers interested in discovering a recipe for The Best Manhattan Ever, might find a story I wrote for my web site, napaman.com, helpful and informative. Happy Holidays ahead, David! I’ll be toasting you with my version of a Manhattan as Santa takes off in his sleigh! I just noticed the Print button. When did this become available? Looking forward to cocktail hour tonight. You recently had a margarita recipe. What blog was it in? My margarita recipe is at that link, and I have recipes for orange margaritas and persimmon margaritas on the blog as well. David, you are spot on with the Old Forester (same recipe as Woodford Reserve, 1/2 the price) always a good bourbon. 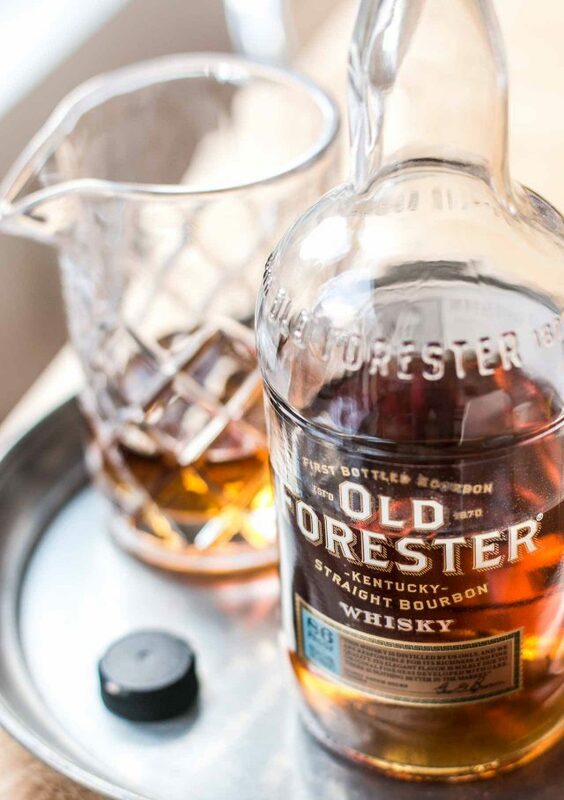 Yes, Old Forester is a very good bourbon. I’d not heard of it but was happy to have a bottle. Glad you liked potato gratin, too! What is Christmas like in Paris? 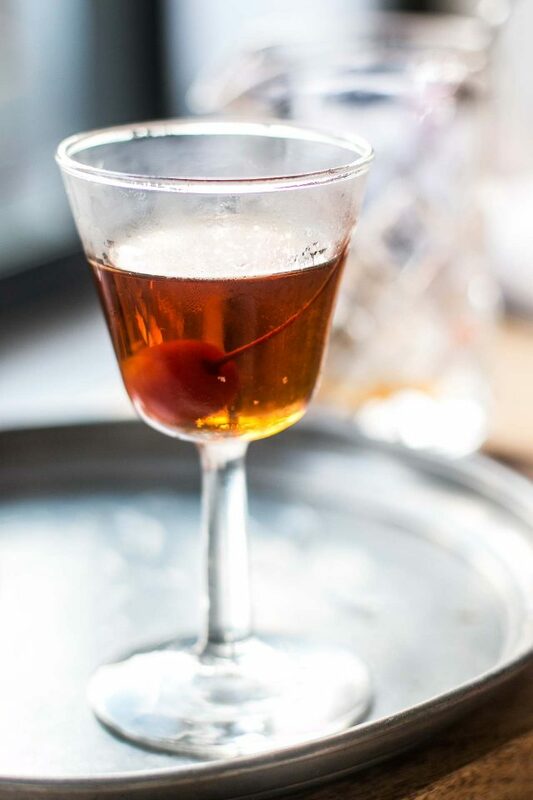 Amaro adds so much character to Manhattans. At the moment, I use the Amaro from Fratelli Ramaazotti, but look forward to exploring others. The recipes vary. All suggestions welcome! If you are interested in other amari, I highly recommend Brad’s book. He talks about a lot of different brands and styles. 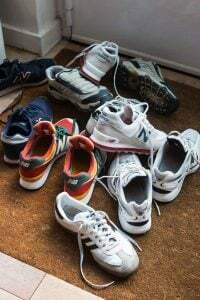 Let’s not forget SUZE which always settles the stomach and if you smell it you will remember your USA youth and perhaps Grandma giving you a shot of Paragoric ! I like Suze a lot (although an Australian friend of mine once called it “The worst thing she ever tasted.) 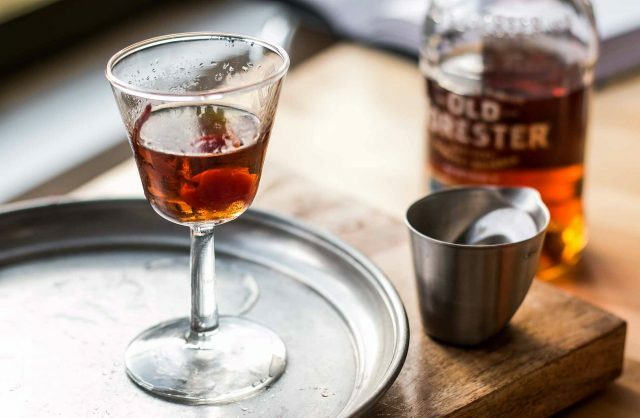 It’s recently becoming more popular in the cocktail world, like amaro. Part of it is that they are owned by a large French liquor brand, who is giving it a well-deserved push…although I’ve had other gentian liqueurs that are interesting, too. But I think many are still elusive to find – as you noted! The timing of this is perfect. I was introduced to Black Manhattans just a few weeks back and immediately added a bottle of Averna to my bar. My friend brought Fee Brothers Aztec Chocolate bitters which are an excellent choice. Have you visited Bitters + Bottles in South SF? You will need to go next time you are here. They have a huge selection of bitters all available to sample. I loved my grandparents and their (flexible) wisdom dearly and I can relate to your memories of yours. Thank you for bringing it up. As for amaro, since I’ve tried Amaro Iannamico I can’t imagine what my life before that was like. Must’ve been duller. I’ll have to check out the book and sample some Amaro-based cocktails like this Black Manhatttan-via-San Francisco, never had any of it before. Love the idea of a digestive based cocktail and trust the Italians in that department! Thank you for this! the Italian cherry is key as is the rouge Vermouth. 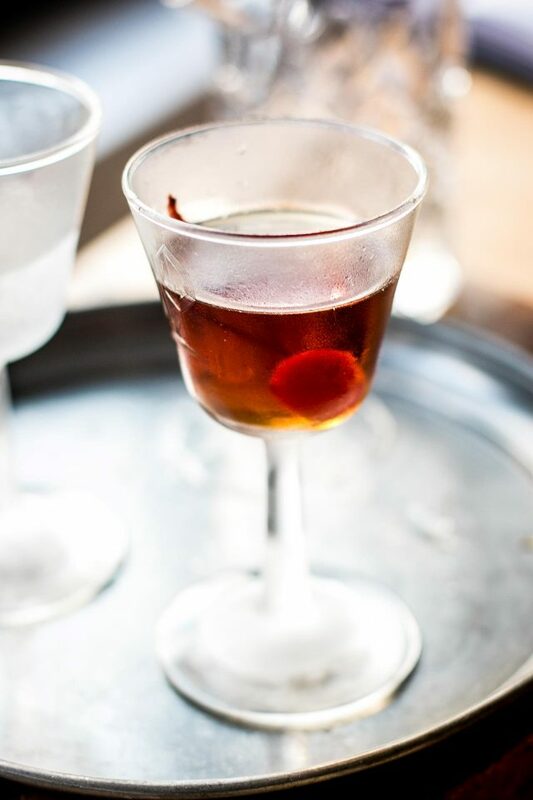 Funny, I started making these a month or so ago (albeit with rye), not realizing there was a name for them—I’m just always after things into which to sneak some Cynar! Have you had the Fabbri amarena cherries? They’re damned expensive but keep forever, plus are as fantastic on ice cream as they are in cocktails. Enjoyed your talk last month with Luisa Weiss in Brooklyn, btw, and thanks for the tip re: your chocolate ice cream. Admittedly I’ve never been big on straight chocolate ice cream, but I’ll attempt some for a somewhat legendary ice cream torte I make for my sister’s birthday (in the past always from Haagen-Dazs). This is great. Gotta go out for some Amaro. I’ve been hooked on Boulevardiers lately and glad I’m well stock on bourbon. It’s that bourbon time of year. Since you seem to go to NYC often. Next month there is a pork competition going on. conchon555 is the website. I was in Venice, drinking with a newly found friend at a neighborhood osteria, close to my rented apartment. I was having an Aperol Spritz, because, you know… Venice. Which is when I had an Amaro Montenegro for the first time. I’ve now had others — Ramazzotti, Nardini — but I still like Montenegro the best. It’s been funny, because now that I’m back home in Seattle, when I’m in an Italian-flavored bar and order one of the Amari, the bartender will look at me, realize I’m not a regular, and start talking. Because usually the Amari drinkers are people they’ll know, and, a-ha! — a new customer! And I’ll be back in that osteria, in my mind. Thank you! The tapenade sounds lovely to me. How kind of you to respond. We just celebrated our annual Christmas dinner with friends starting off with the Black Manhattans. Everyone loved them, with many requests for the recipe. 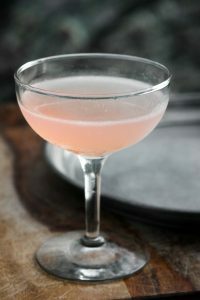 This is now a mainstay in our cocktail book!